It’s been a long winter, and though Spring has officially begun, many of us are still looking for ways to warm up. 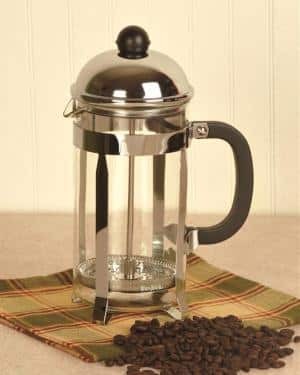 Once the coffee intake in our day-to-day reaches a limit, perhaps it’s time to sip on something slightly less bitter. Or maybe you’re looking to cozy up to the fireplace with a good book and a traditional hot chocolate beverage. Scientific research reports that chocolate contains pleasure center chemicals like dopamine and phenyl-ethylamine which help release endorphins. Thus helping fight those winter blues like nothing else! If you’re looking to enjoy a warm drink from the convenience of your Keurig, then try out on of these top hot chocolate K-cups. This post is part of our k-cup series. Click through to see all of the best k-cups we’ve reviewed. A warm cup of hot cocoa is one of life’s simple pleasures, but this k-cup creates something quite complex. Created specifically with no artificial sweeteners, it’s a natural cocoa product that will leave you redefining what hot chocolate can aspire to. Most of the hot chocolate K-cups have artificial sweeteners in them, but this K-cup hot chocolate mix will leave you impressed with their use of natural ingredients. 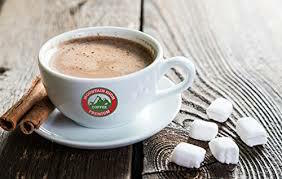 Mountain High Foods has created a simple and refined hot chocolate for those trying to avoid excess sugar and seek organic products. 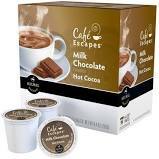 Café Escapes Dark Chocolate Hot Cocoa K-Cup Pods are a rich dark chocolate hot cocoa that all chocolate fanatics are in love with. More familiar to a a dark smokey coffee than any of the candy-like hot chocolates on the list, you’ll be very surprised by this if you’re akin to dark, earthy drinks. It’s also relatively guilt free as the product comes standard as gluten free and trans-fat free. So indulge and enjoy some of the darker notes of chocolate that you can find on todays hot chocolate k-cup market with Cafe Escapes Hot Chocolate. This hot chocolate is quite sweet and may be on the lighter side for most who’re accustomed to dark tones in their hot chocolate. It’s recommended to shake the K-cup before use. The Swiss Miss milk chocolate powder mix in the K-cup tends to clump, which can have an impact on the taste if you aren’t careful. 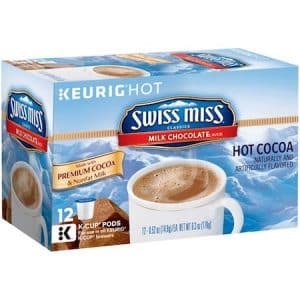 Swiss Miss is obviously a long standing hot chocolate brand that’s not delved much into variety. This is your classic milk chocolate hot cocoa. 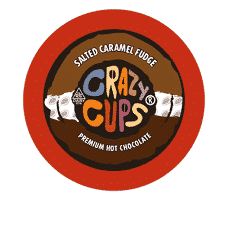 With a name like crazy cups it’s fully expected that these will be boundary pushing hot chocolate flavors and they live up to the name quite well. Sold in a variety pack, these k-cups come in flavors like molten chocolate souffle, dulce de leche, salted caramel, peanut butter in a cup, frosted oatmeal biscotti, caramelized banana split, peppermint patty and Irish creme cheesecake. It’s a smorgasbord of creative and hot cocoa recipes that will delight guests and keep your palette guessing. Crazy Cups takes all those huge tastes and fit them inside k-cups somehow. 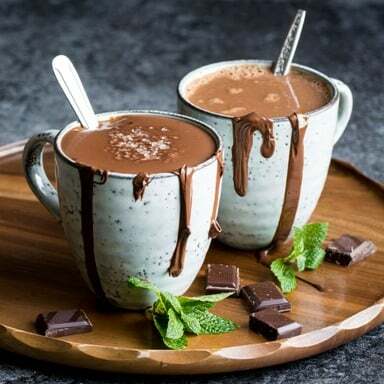 If experimentation with the traditional hot chocolate is your knack then Crazy Cups will find you well, and prepare for a voyage of distinct and unique flavors. The iconic brand has taken to the K-cup format to deliver the flavors of smooth peppermint and indulgent dark chocolate in one warm and cozy cup. Refreshing mint is balanced like a rich, luscious dark chocolate Junior Mint in the hot cocoa beverage of choice for many. Users are able to set the Keurig to brew on the low setting for an extra creamy hot chocolate. Perfect for watching the snow fall on a winter day. 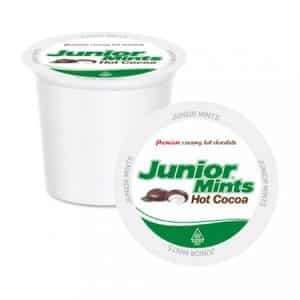 Junior Mints Hot Cocoa seems to be a favorite among discerning palates everywhere. Wholly unique on the list, the Mexican hot cocoa packs some serious spice. 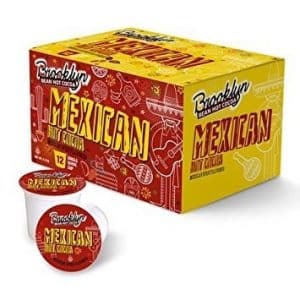 Using that special spice, Brooklyn Bean has created an age old tribute to classic Mexican hot cocoa, which has more in common with a delectable desert than their traditional coffee brews. Notes of Cinnamon and Chile are ushered by a chocolate mouthfeel to melt away the chills of winter. This Brooklyn Beans creation is notable for it’s cult-like following and original take on the Mexican Mocoa beverage of old. 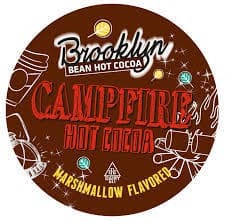 If you’re not a fan of heat in Brooklyn Beans Mexican hot cocoa then it’s imperative you experience their craft and try out their take one of the defining tastes the great outdoors, toasted marshmallows. They’ve taken campfire cocoa and put it in a K-cup, that brings the sweet flavors of toasted marshmallow, marvelously delicious milk chocolate, direct to your cup, just as nature intended. While many of their hot chocolates contain soy and milk, Brooklyn Beans Campfire is not your standard milk chocolate flavors whatsoever. This blend captures the moments of drinking hot chocolate under that stars quite eerily, not only in its aroma but in its authentic taste. The mouthfeel is creamy hot chocolate made with real cocoa, but the marshmallow taste is present without actually adding marshmallows. You’ll find this to be an impressive cup. These are more refined to suite the modern Brooklynite, as a late night beverage. 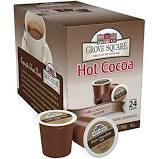 T Grove Square prides themselves on delivering a creamy smoothness from the k-cup which makes this cocoa a classic comfort that feels strangely homemade. 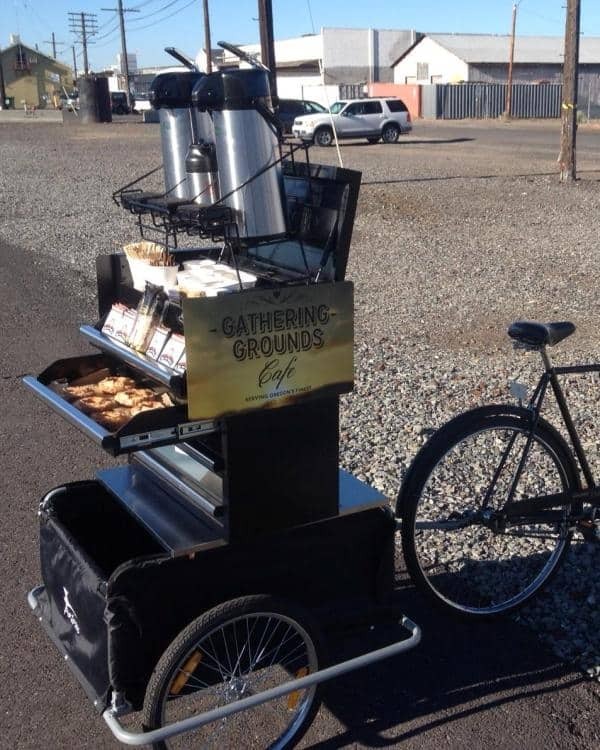 An additional perk is that it’s one of the few on the market that’s Kosher certified. 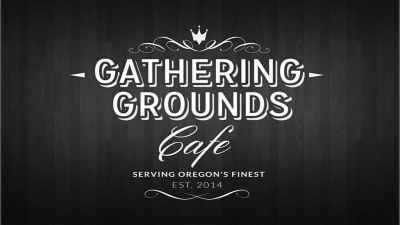 The Grove Square Mocha Cocoa features a touch of that unique coffee magic, brings out the best in chocolate, and giving you a little boost of coffee if bitter tastes aren’t your style in the morning. Regardless of your preference for dark chocolate or light and sweeter fair, there’s a K-cup to provide hot chocolate for your rainy, snowy, or leaf-blown day. 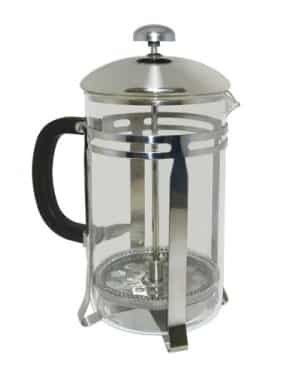 Switch up flavors to try out the subtle nuances in the age old beverage and don’t forget to shake the cups before use. 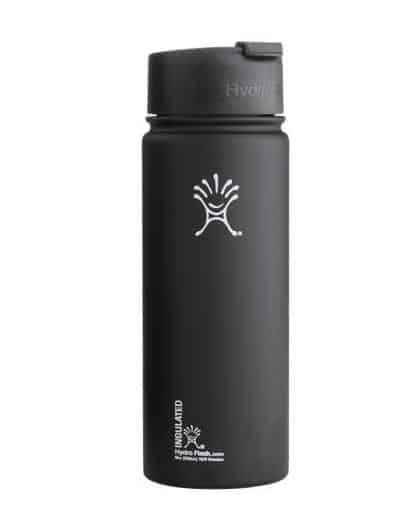 If extra hot cocoa prep is needed, peruse our gear and add to your array of beverage ware.